Your pillow should keep your neck in its correct alignment while you sleep – aches and stiffness in the morning could mean your pillow is not doing its job. It may be because your sleeping position has changed, which renders your current pillow unsuitable. Or, think about the age of your pillow, how long have you had it, it could be too old to offer you the support you need. After many nights of supporting your head and neck, your pillow stuffing will eventually degrade. A pillow that is lumpy or too flat cannot support your neck and may cause you pain the next morning. 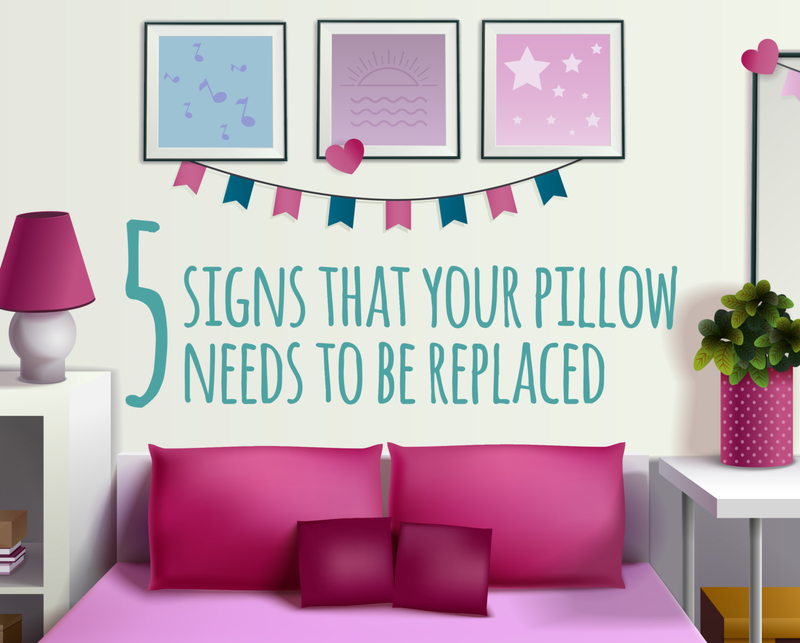 If your pillow requires fluffing very frequently or has a permanent hollow where you rest your head, it’s time to start looking for a new one. If you still have doubts about throwing out your favourite pillow, lumpy though it may be, try this: fold it in half and press it down. When you let go, any pillow worth its stuffing should flip open and return to its usual form. Having recurring allergic reactions upon waking could be a sign that your pillow has become a hotbed for dust mites, which feed on dead skin cells and secrete allergens. Every night when you sleep, you shed skin cells into your pillow, creating the perfect feeding and nesting ground for dust mites. For hygiene and comfort’s sakes, it may be time for a fresh pillow to start off your days sniffle-free. Pillows should be replaced every two years, and possibly more frequently depending on how durable it is and how clean you have kept it. Generally, anything older than three years has outlived its function, offering you subpar support compared to when you first bought it, and potentially harbouring a build- p of • ust mites and other allergens. If your pillow is still good to use, you might ask: how can I make sure it lasts longer? While every pillow will inevitably wear out over time, here are some tips to extend the expiry date on yours. 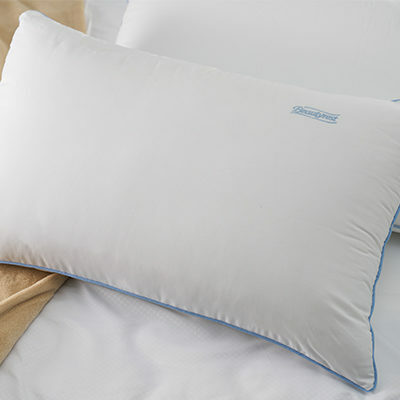 A protective case will keep your pillow hypoallergenic, as it prevents dust mites and skin cells from getting into it. Washing or airing your pillow ensures it does not accumulate dust mites. Follow the laundry instructions on your pillow to keep it in good condition. Your pillowcases should also be washed regularly. Non-allergenic pillows are made of materials that are difficult for dust mites to hide and nest in. Memory foam is one such non-allergenic material, and is also one of the most durable pillow fillings that can last up to three years.